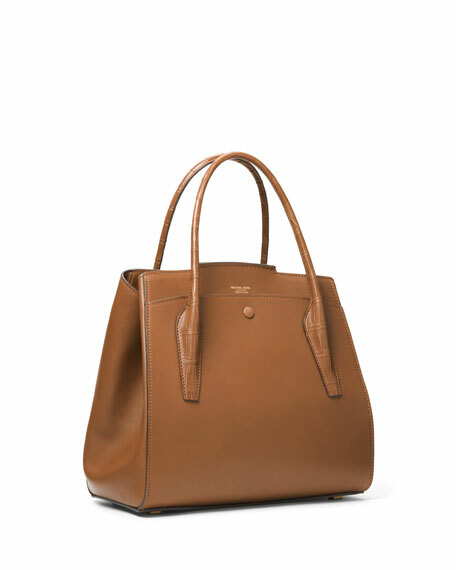 Michael Kors "Bancroft" satchel in smooth calf leather. 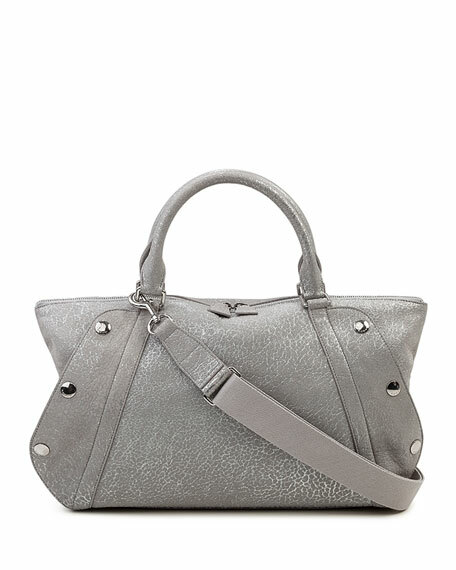 Structured silhouette features expandable sides. 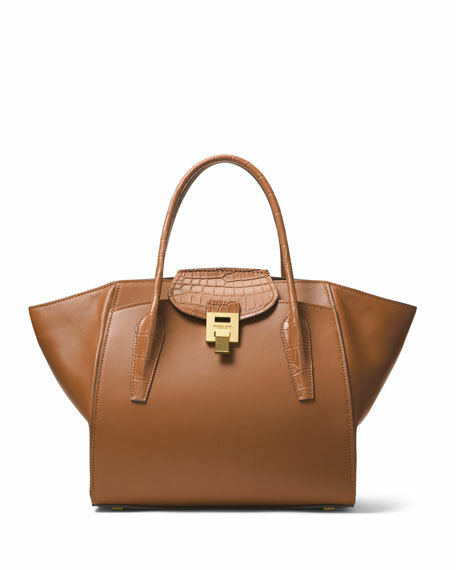 Open top with alligator tab. 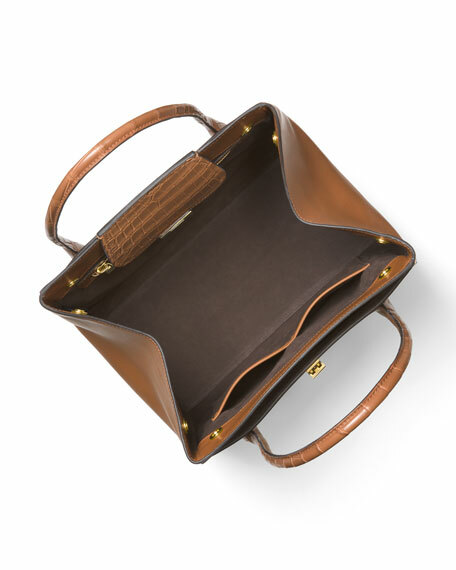 Inside, zip and slip compartments. For in-store inquiries, use sku #2253510.